You’re finally done writing your blog, whewww! Images make your blog pop. You know that, or must have heard about that. It enhances user experience. You also know and heard about that, right? Image in a blog break the “wall of texts”. I heard that. You most likely have also. We’ve been preached at (errr, pressured) that images are important, and that a killer blog must include an image. Thus, on top of toiling on getting a blog done; here we are toiling also to find an image to include in the blog. That leads me to this topic. What are best practices when posting images in blogs? 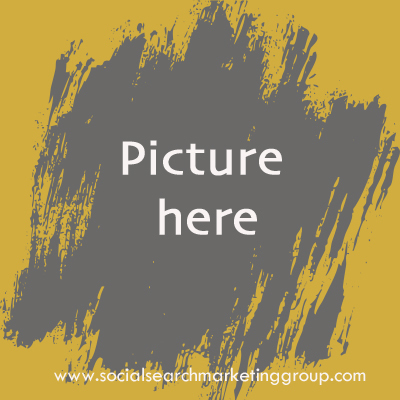 Use images that are relevant to your business. It should represent what you are trying to say. Using something else that does not will only confuse the visitors of your blog, and worse drive them to un-subscribe from your post. In a microblogging platform, a.ka. Twitter, I recently un-followed a marketing company (well, that’s what it was saying in its bio) on Twitter but the avatar that it was using is that of a scantily clad person. The bio and the image didn’t match; I didn’t bother looking at the website. You have permission from pro-photographer to use the image. There are photographers that will let you use their photos, and when they do, please don’t have them ask you to cite them for their work. They don’t have to. Their time for taking the photo and processing it are as valuable as yours. Citing them in their photos that you are using is the right thing to do. Do not post photos of children unless you have obtained parental consent. Make that a rule of thumb. Even if you have permission from parents, do not post photos of children unless you understand the COPPA rules. (COPPA stands for Children’s Online Privacy Protection Act). Parents might not be aware of such organization nor its rules about photos or videos. Stay on top of it. Cite owners of images if you are using someone else’s work. If you are getting your images from sites that provide them for, make sure you understand its rules regarding attribution or citation. If likeness of a person is recognizable, say my face, try to get my permission first to post it online. It might be OK for others with their faces popping up online but not me! Oh yes, there are others like me. When posting images from freebie sites, read the rules first. Yup, you can’t just grab ‘em just because it’s free. When Posting Images in Blogs where can you get the freebies? Flickr. There are other sites too. Create your own. No rules to check out. If you own a smart phone, like an iPhone, it can take high quality and web-ready images that you can use for blogging and social media without worrying about getting sued for infringing copyright. Ask your photography-buff friends if it is OK to use their photos if they have some. Related article: The Honor Code of a Noble Blogger: How to Cite Pictures. What is your best practice tip when posting images in blogs? Your turn!